Because of everything....and because of nothing. Yesterday was the 1 year anniversary of my backpack of stories. Seems like a proper time to break the silence in celebration. It's been a year since we announced to the world that we heard God calling and we were ready to say "yes"....shout "YES!" It's been a year that we've been grieving for our brothers and sisters and babies in Africa. We've been grieving for our own hearts too. Since our eyes have been opened, we've become appalled at the selfishness and indifference we found in our own hearts. It had kept us blissfully ignorant for the first 40 years of our lives. That has been the deepest grieving and is teaching us desperate repentance. We will not live the same, regardless of what that means to our comfort or "American-ness." My heart can't stand it anymore. It's been a year of cathartic writing. This blog has been like a "plate of awesome with bodacious sauce all over it" for me. (Kung Fu Panda is the babysitter of choice while Momma writes!) Writing has transformed my thought life. I think in blog posts, dream in blog posts, my house is littered with the beginnings joted on notecards by the bed, shower, kitchen sink. There have been a lot more beginning thoughts, but the real story is how many more ending thoughts there have been this year. And how many actions connected to thoughts there have been. Isn't that really the proof that's in the pudding....new thoughts that turn into new actions? Thank you for letting me process out loud, for letting me finish thoughts and for letting me leave things hanging until God finishes them in me. As 2011 came to an end and I was starting to realize how much my soul has been forming through the writing, I got eager and list-making and goal-setting on it....the death knell of things real. I have a great knack for choking the life out of something good and organic with rules, procedures and goals. Ask my kids how many routines, plans, and chore charts we've started. I should have known better......but I threw caution to the December winds and set a writing goal - 1 blog post a week for 2012. I was going to become a serious writer - squeeze more goodness out of the honeycomb I'd been tasting. Then, to keep me "accountable" or sprinkle "guilt dust" over each week, take your pick, I spoke the goal aloud to my hubby and the girlfriends. January was great, 4 for 4, I got a little smug. February I only managed 2, but remained confident of my ability to catch up....gotta leave room for the spirit to move you know. March, 2. And now here we are at the end of April.....nothing! Let's just say it - 15 weeks of 2012, 8 blog posts...9 if you count this one. I can't write another one so soon after the last one, no one wants to hear from me that often. I'm too tired, the laundry's too far gone, the tv's too appealing, the computer bench's too uncomfortable. I read my favorite sister bloggers out there, get encouraged, wish I had written what they wrote and then give in to the "why bother." I make more rules about how I'm gonna do it...birthday posts for all my kids....and then get handcuffed by the fact that my littlest peanut's birthday came and went a month ago without her story hitting the paper, er, screen. Which doesn't really matter, I know Mom. I can hear you dialing the phone to tell me that I'm obsessing about ridiculous things - and I know, I agree. That's why I'm saying it out loud. Putting actual words to those vague thoughts takes away their power over me - they look silly in the light! But what is a big deal is the monster pride and it's ugly twin fear that I let have control. Whether or not I write anything for the rest of my life, on this silly little blog or elsewhere, matters not. What matters, my friends, is that we give pride and fear the reins of our lives so often, in the extras and in the essentials. I'm feeling mad enough to fight back today... so I wrote. 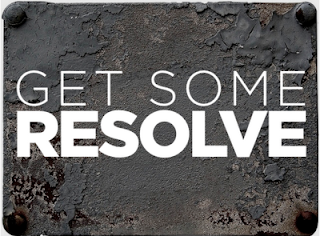 I wrote to get some resolve rather than waiting for the resolve to write. And it worked, felt good. Get some yourself! What do you need to do today to wrestle those reins back from the ugly monsters? Don't wait for resolve, girlfriends, stand up and go get some!